Vancore PSM-2001 4.3 Octave Marimba cases are a must for anyone wanting to keep their marimba looking new and safe! 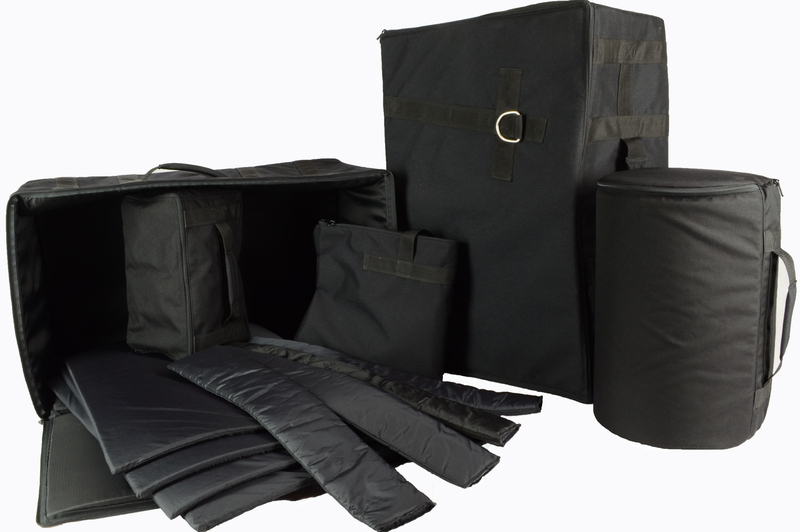 There are 7 Bags in this set of cases, all fit with very comfortable shoulder straps, and reinforced with .5"-1" high impact foam and a nice 1000 dynamite denier nylon finish! You will be confident with our cases that your marimba is safe and sound!